A United States P-3 Orion is on a routine patrol over an area of the eastern Pacific west of Costa Rica in international airspace. Its mission is to search for, locate, and track a narco submarine used by cartels out Central and South America. Once located, it will direct U.S. Coast Guard ships to intercept the cargo bound for the United States. 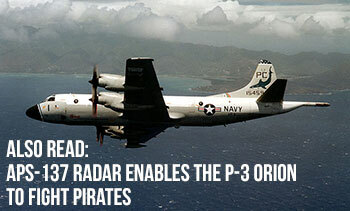 Often, a P-3 of the United States Customs and Border Protection will locate surface craft using its powerful radar that can identify a ship even with the radar return clutter present from the ocean’s surface. The radar system will also detect small difficult-to-see submarine systems above the waterline like the snorkel. 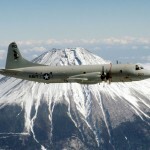 When a semi-submersible craft is partly exposed above the water, it may be difficult to find but the P-3 radar, APS-137, can still accomplish its task. Still, when it comes to submersible boats, it takes a few more tools to locate them. 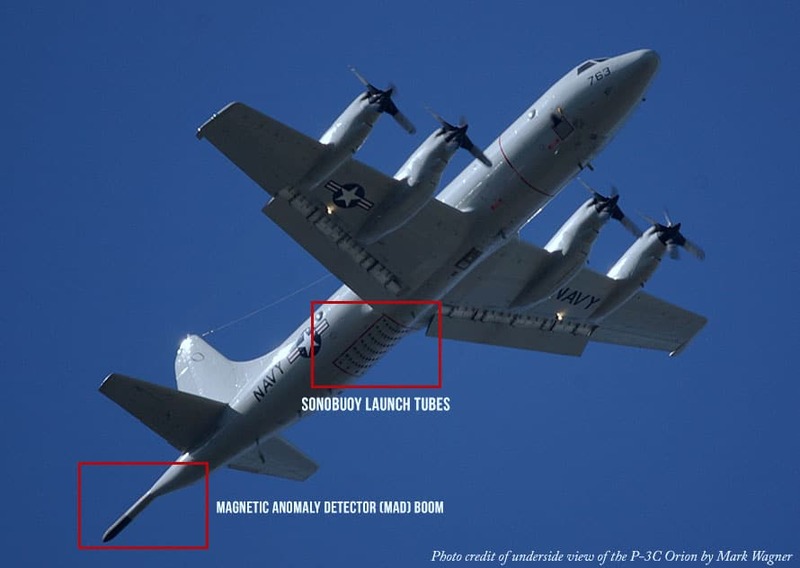 The US Navy and US CBP can use its Anti-submarine warfare (ASW) equipment on the P-3 in addition to radar to locate narco subs. The Orion aircraft is fitted with many tools for ASW mission. Sonobuoys are expendable, small, 3 foot long buoys that can be ejected or dropped out of an Orion. Once in the water, these canisters are used to conduct underwater acoustic research. Using an inflatable surface float with a transmitter, a sonobuoy relays information to the sonar operators back on the aircraft. Depending on the type of sonobuoy used for the mission, the information received can locate an underwater craft. An Active Sonobuoy will send out a ping (energy signal) and the information returned will allow an operator to determine range and bearing of an underwater object. The sonobuoy pings can be triggered from the plane itself. A Passive Sonobuoy does not emit a signal into the water. It listens for sound waves from propellers, power plant coming from ships or submarines, or even an aircraft’s black box pinger. The resulting contact will be transmitted to a ship or aircraft. Another instrument utilized for hunting submarines is the AN/ASQ-81 Magnetic Anomaly Detector (MAD). This system detects changes in the earth’s magnetic field caused by a submarine. Like the handheld metal detector used by treasure hunters, the MAD sensor detects the metal of the submarine. 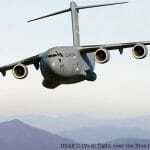 It utilizes a helium magnetometer to detect these anomalies. Electric motors and electronic equipment on the aircraft, including the metal fuselage of the aircraft, can produce enough electromagnetic noise that it interferes with detection of a submarine. 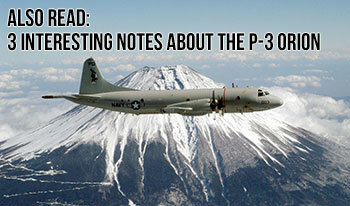 The P-3 will have special equipment onboard to cancel out the aircraft magnetic interference. Also, to get the MAD sensor at the farthest point away from the interfering sources, it is placed on the end of a boom at the tail of the Orion. To detect an anomaly in the water, the aircraft will need to be over or near the submarine’s position. Another integral part of this ASW system is the AN/ASA-65 Magnetic Compensator Group. This system amplifies and correlates the signals from the MAD output and processes them for an appropriate representation on the display. The unit also provides feedback to the magnetic compensation coils to maintain proper system performance. 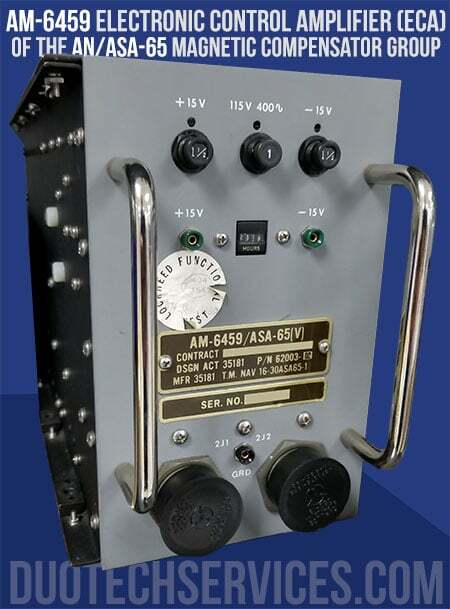 Pictured here is the AM-6459 Electronic Control Amplifier (ECA). The ECA processes the signals received from the MAD subsystems, operator compensation adjustments, and maneuver signals from the magnetometer. The ECA provides compensation currents, which are sent to the MAD boom compensation coils. Since 1962, over 700 P-3s have been manufactured and commissioned worldwide. Over time, the remainder of the U.S. Navy’s fleet will be replaced by the P-8 Poseidon. 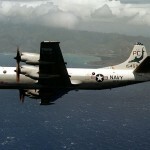 However, until the last P-3 is decommissioned, it will remain a critical tool in the US Navy’s mission as well as the numerous other operators it serves. 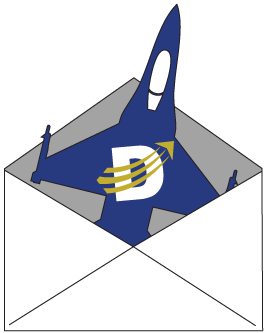 DSI is a qualified FAA Repair Station and maintains AS9100D and ISO 9001 certifications with the scope of repair, design, production (including CNC machining and laser cutting), testing and overhaul Services for electronic and electro-mechanical equipment for military and commercial applications. Duotech has the capability to repair the mission-critical electronics systems of the E-3 Sentry, P-3 Orion, and C-130 Hercules aircraft.